Twenty-four years after her first novel, Housekeeping, Marilynne Robinson returns with an intimate tale of three generations from the Civil War to the twentieth century: a story about fathers and sons and the spiritual battles that still rage at America's heart. Writing in the tradition of Emily Dickinson and Walt Whitman, Marilynne Robinson's beautiful, spare, and spiritual prose allows "even the faithless reader to feel the possibility of transcendent order" (Slate). In the luminous and unforgettable voice of Congregationalist minister John Ames, Gilead reveals the human condition and the often unbearable beauty of an ordinary life. 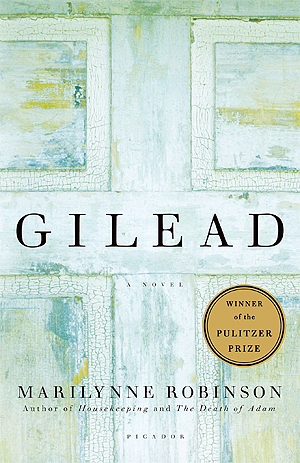 Gilead is the winner of the 2005 Pulitzer Prize for Fiction. As a man whose father died from injuries sustained in a car wreck on the way to our wedding, this novel made me really cognizant of the loss of his life. As a father now (for 15 years) there’s so much I’d want to hear from him, about his life. He would’ve really loved his grandchildren. The narrator here has a unique voice and it’s written from a unique perspective. I’d recommend it for anyone who is a father or a son or a pastor or any combination of those, of for anyone who wants to understand those men better.